In January, the Milan location of Rhenus Italy has started a new partnership with the two German logistics companies Bursped and Köster & Hapke. Both are members of CargoLine while Bursped is also a shareholder. The focus of the partnership is a new direct groupage line haul service from Milan to northern Germany. The groupage service roundtrips will contain import and export services. The main goods transported between Italy and Germany on this service are industrial goods and services for dangerous goods can also be offered at both destinations. The regular schedule contains two weekly departures between Milan and Hanover and four weekly departures between Milan and Hamburg. In addition to the groupage schedule, daily departures through intermodal transport are offered. While the Hamburg-Milan route was already established, the direct service to Hanover is a new addition. “We saw that the needs of our customers in these regions have increased. 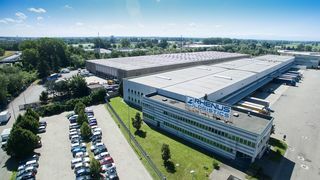 At the same time, the distribution network in Germany has developed further, which made the new service possible,” said Guglielmo Davide Tassone, Managing Director of Rhenus Italy. The KG Bursped Speditions-GmbH & Co. is located in Hamburg and operates a logistics terminal with a transhipment area of 13,500 sq m as well as 50,000 sq m of warehousing space. The Carl Köster & Louis Hapke GmbH & Co. KG, a subsidiary of Bursped, maintains a cross-docking space of 10,000 sq m near Hanover. The location of Rhenus in Milan, which also houses the Italian Rhenus Group headquarters, offers a warehouse space of 30,000 sq m. Rhenus Logistics maintains more than 60,000 sq m throughout Italy for warehousing, home delivery and cross-docking.